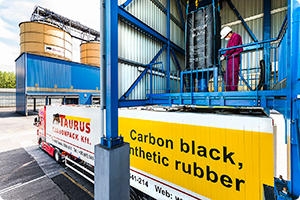 After a strict quality control carbon blacks arriving from CIS countries in special hopper wagons of 150 m3 in bulk are unloaded via a fully closed technological system into storage silos. 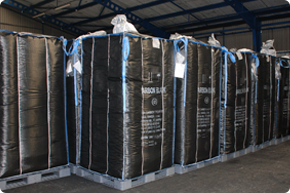 Storage of bulk carbon blacks is ensured separately by grade-suppliers in 12 silos of 100-120 tons each and in 2 big segmented silos of 400 tons each. 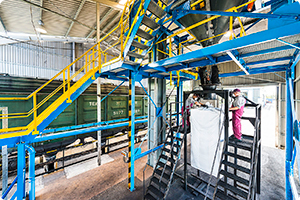 During the last years more and more carbon black is arriving packaged in 2 m3 Big-Bags by trucks on road. 1. 1. 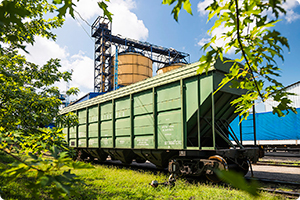 Direct loading from wagons into silo-trucks or Big-Bags. 2. 2. 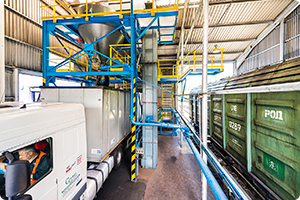 Direct loading from Big-Bags into silo-trucks. 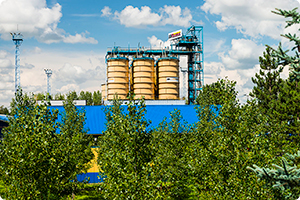 Other types according to customers' demand.